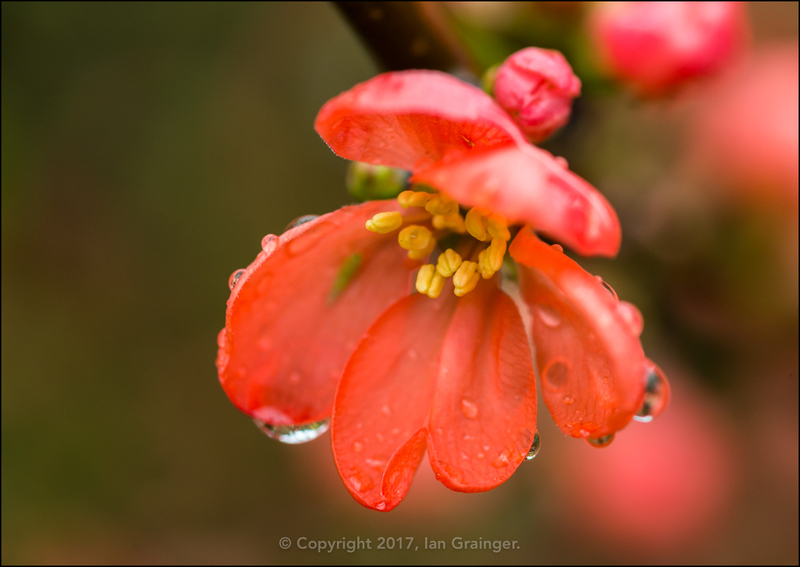 It was yet another wet Sunday as I embarked on my photo shoot at dad's last weekend, and I was once again looking for inspiration amongst the raindrops. 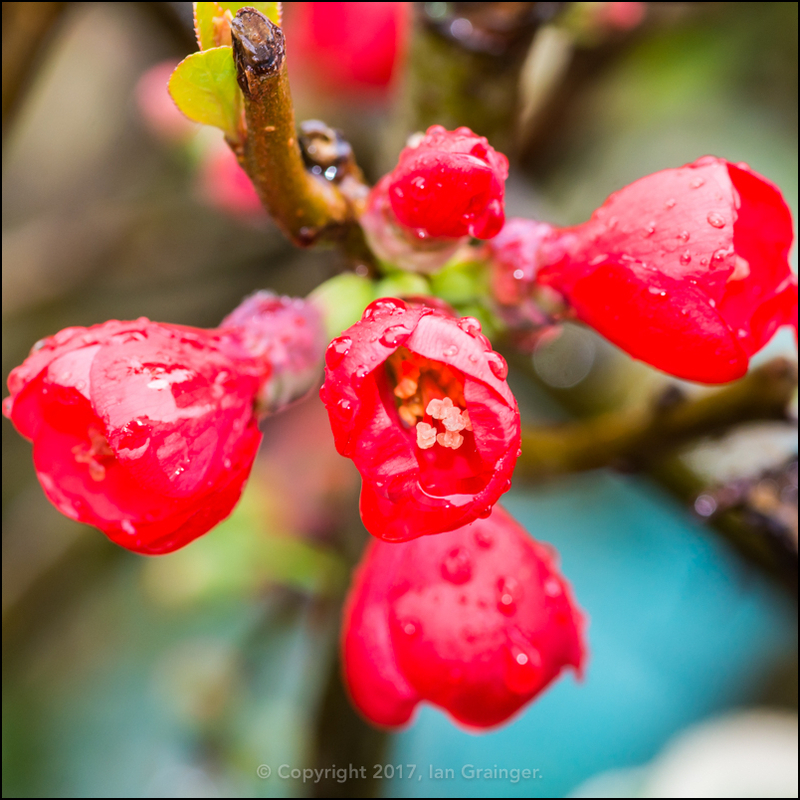 As we were racing towards springtime, it didn't take long for me to find something interesting to shoot. 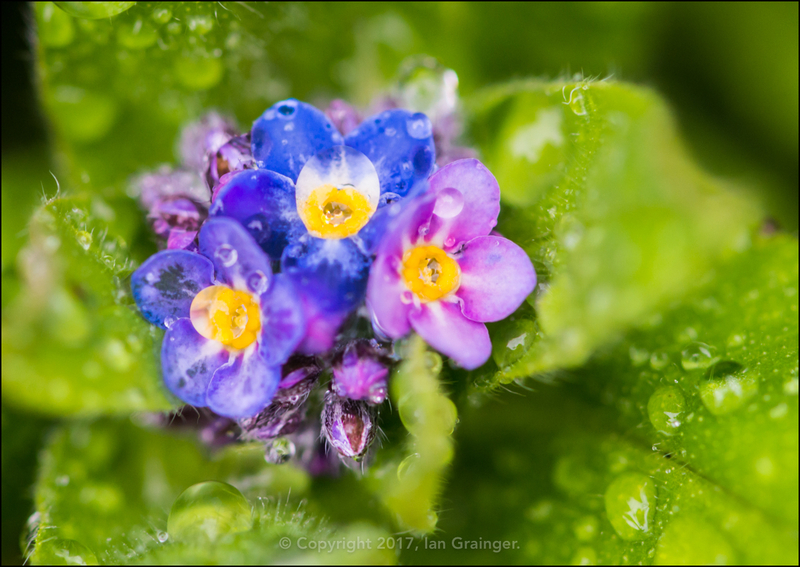 These lovely coloured Forget Me Nots (Myosotis) were an early reminder that spring wasn't far away, despite the wet conditions. ...while the lighter red ones were embracing the wet conditions, and had decided to go for it! 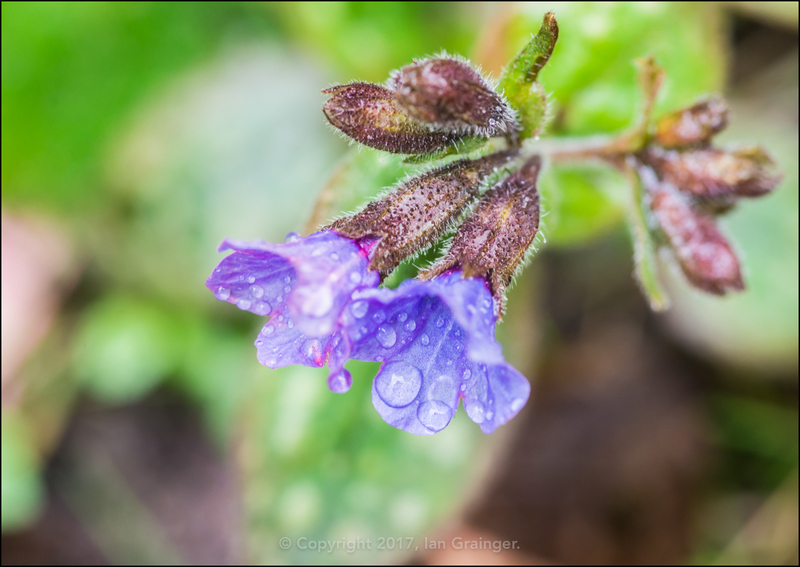 The Lungwort (Pulmonaria) plants were also beginning to open up their buds for the first time this year. It's such a shame that this pretty little plant is lumbered with two thoroughly ugly sounding names. 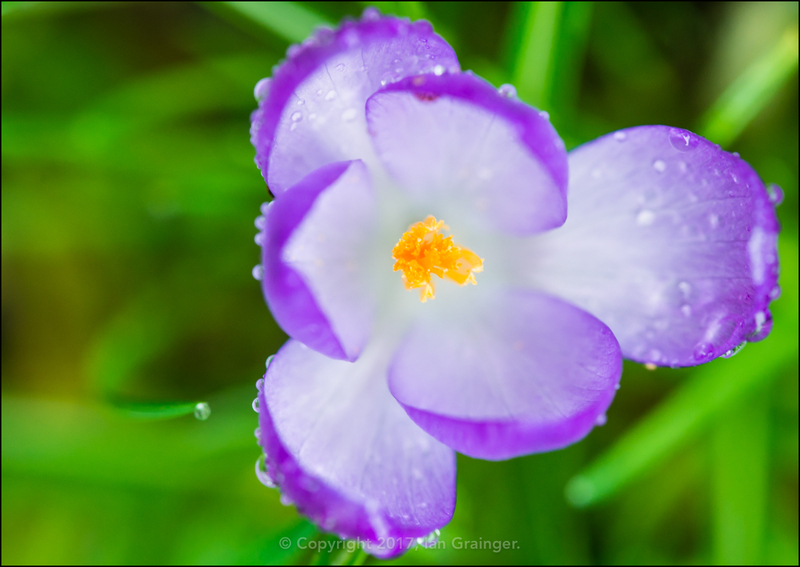 Unfortunately, two storms earlier in the month had destroyed most of the Crocus in dad's garden. 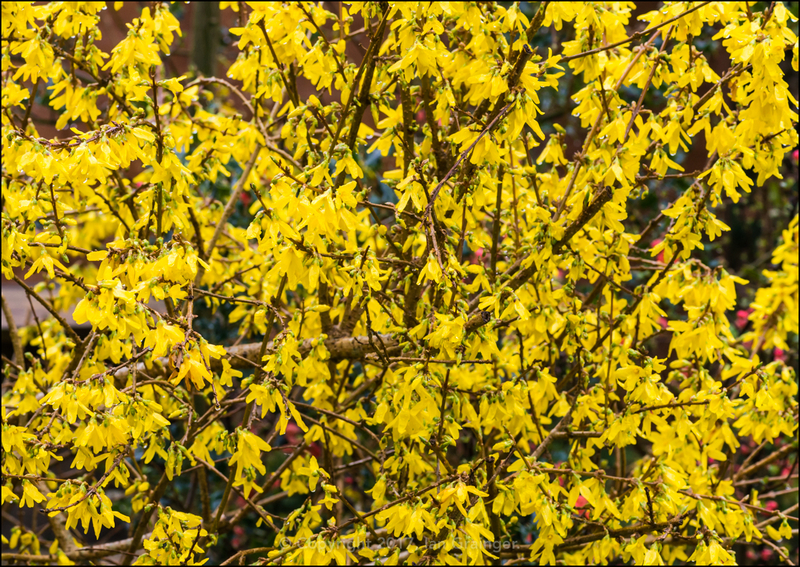 There was now just the odd individual left, battling against the elements to give one final display of beauty. 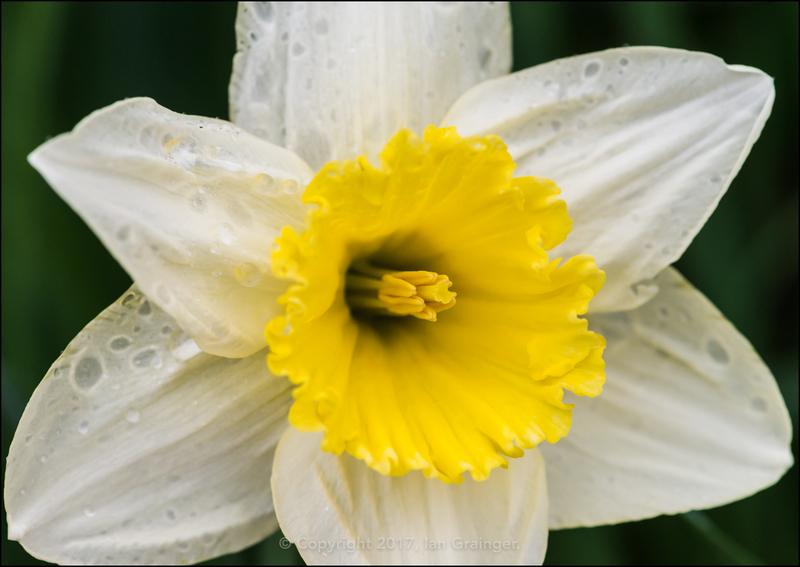 Thankfully, when the storms hit, the Daffodils (Narcissus) were only just emerging, so now the garden is full of bright yellow and white varieties, such as this one. 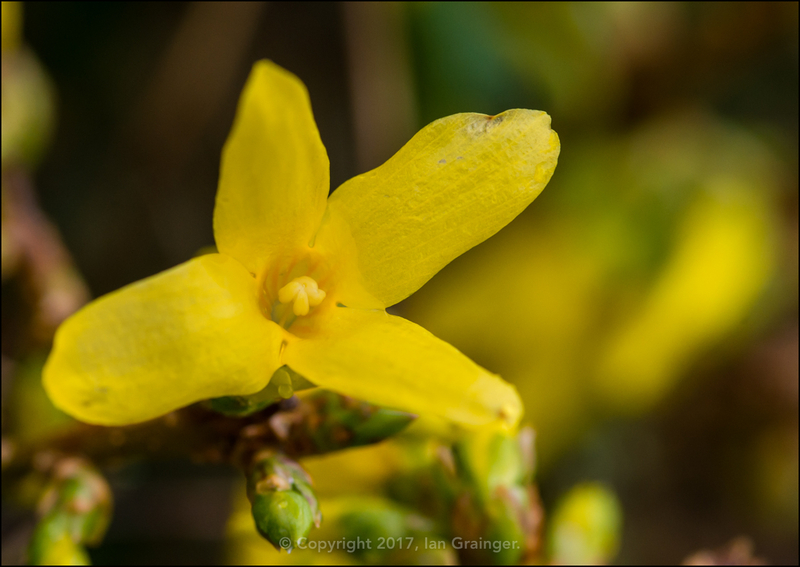 I've been following the progress of the Forsythia (Forsythia intermedia) bush for quite a while now, and you may remember that last week it was loaded full of flower buds? Well, just look at it now! Even with the best of attempts of the weather to disrupt it, it's putting on a marvellous display. 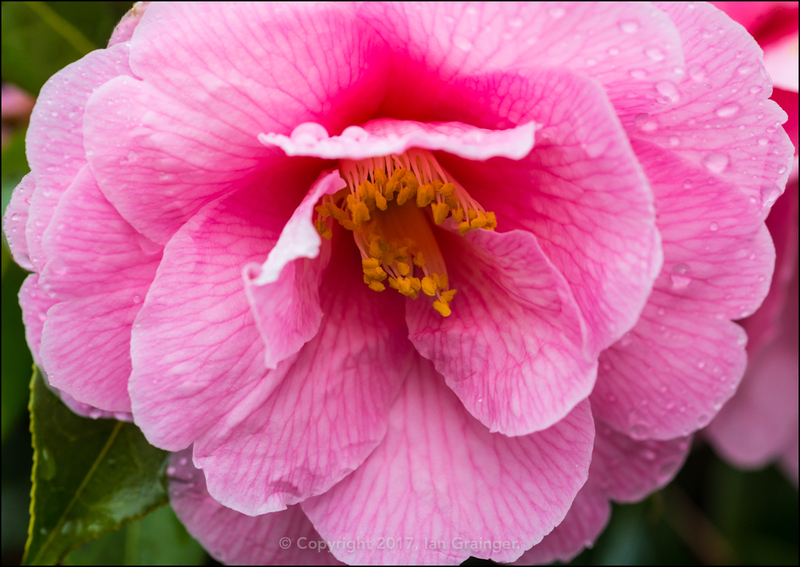 The Camellia bush is also getting into its stride, and is full of these large pink flowers. I think the Camellia is one of the only bushes to actually enjoy the copious amounts of rain we've had over winter. Back in my garden, on a sunnier day, I had some new arrivals. 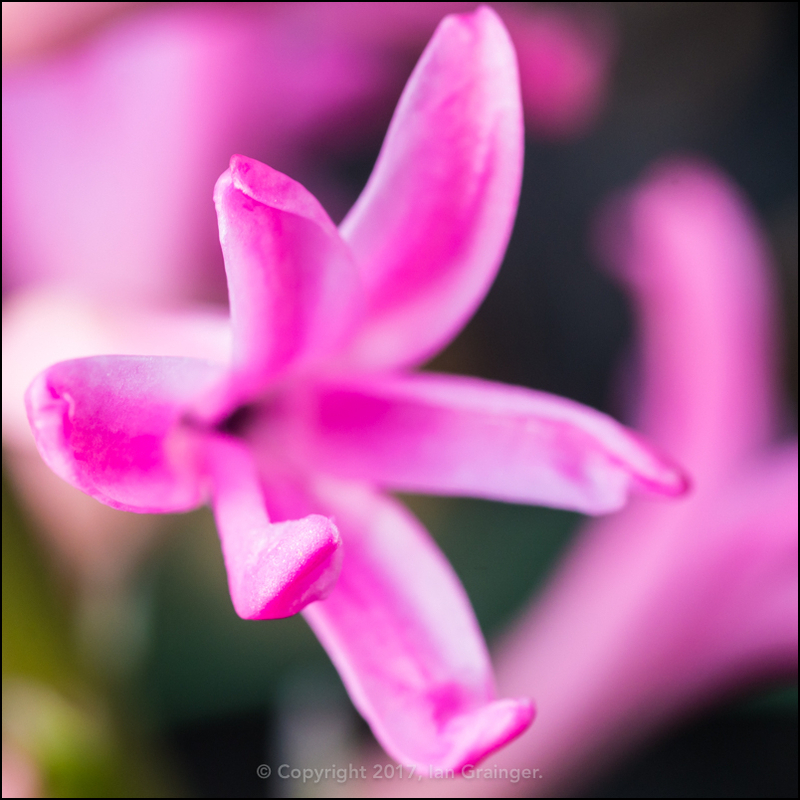 My pink Hyacinth (Hyacinthus orientalis) were doing rather well after a couple of nice days. 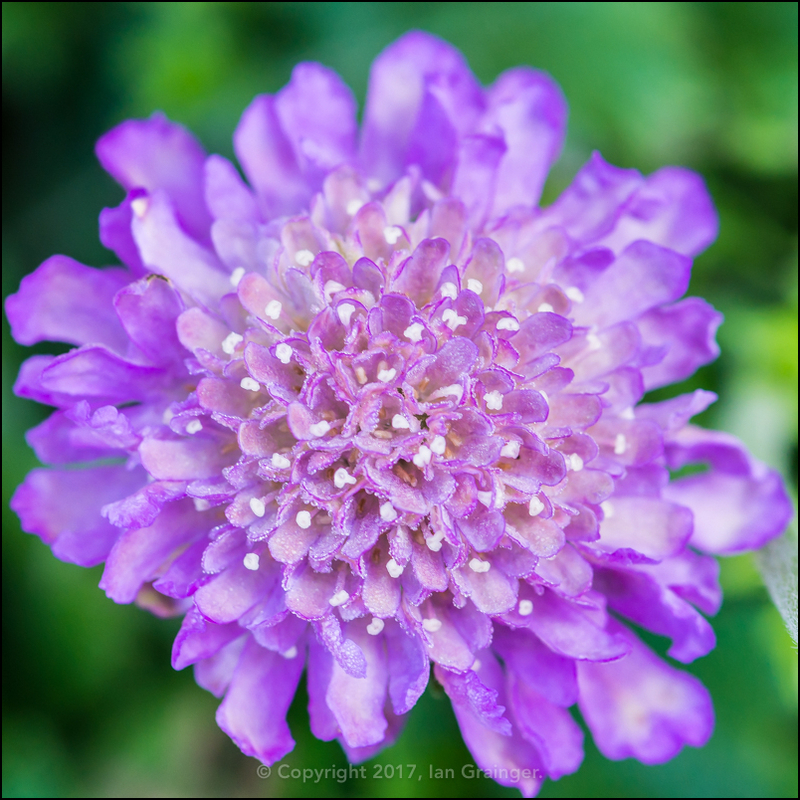 A rescued Pincushion Plant (Scabious) had also been encouraged into flowering early. 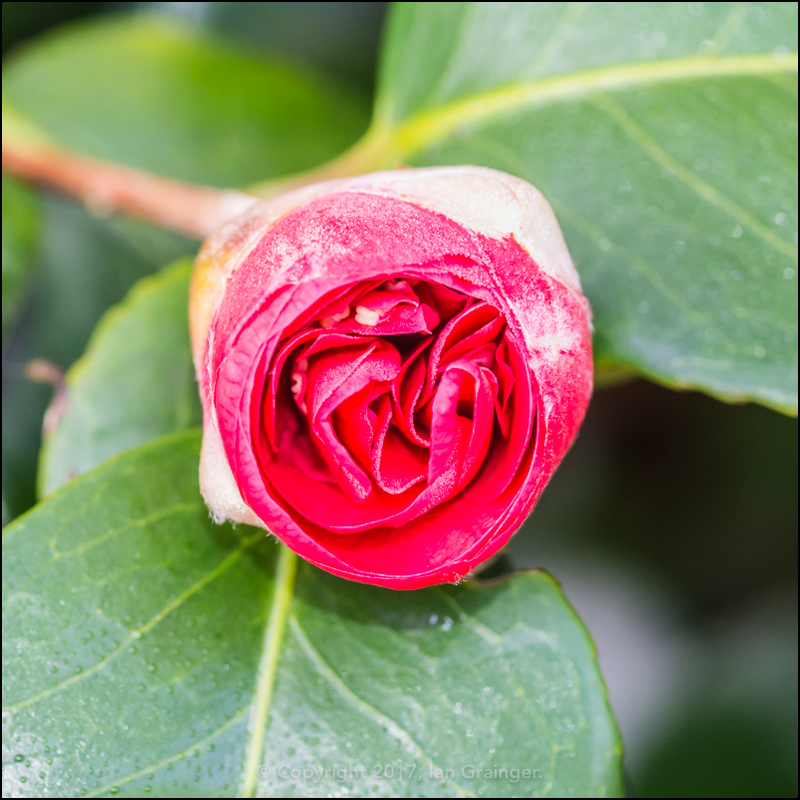 My dark red Camellia bush had also been persuaded to come to life. 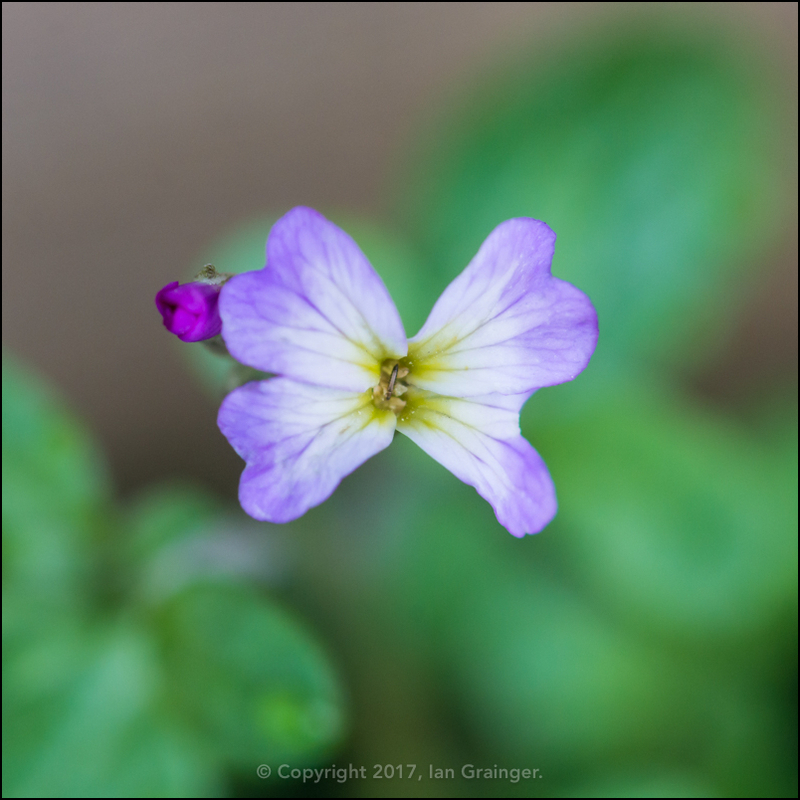 There was also a complete surprise after I spotted some self seeded Virginia Stock (Malcolmia maritima) blooms hiding in the corner of one of my raised beds. 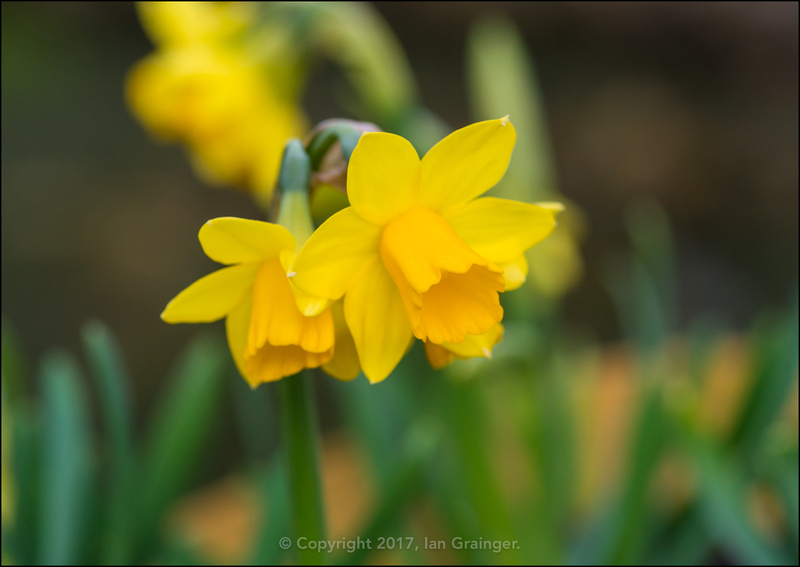 My miniature Daffodils were also now putting on a lovely display. 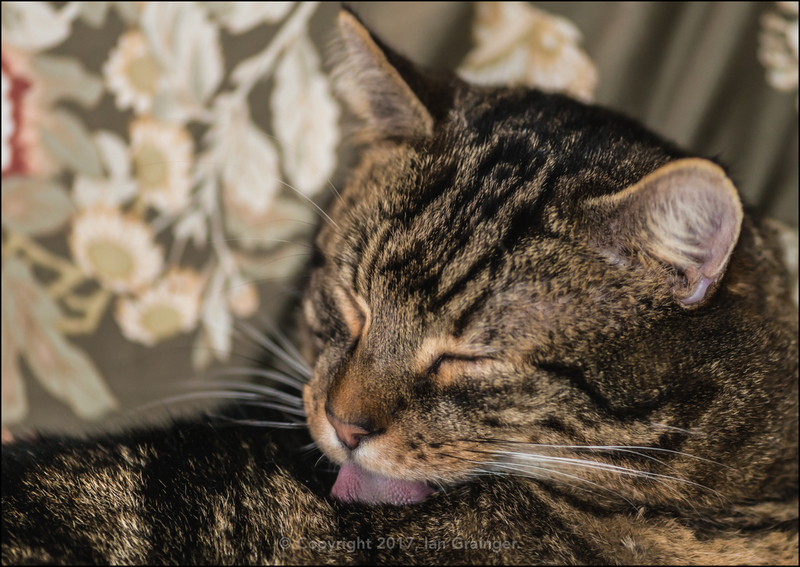 Meanwhile, on another wet Sunday, my photogenic furry feline friend didn't budge from his sofa, and embarked on a marathon cleaning session while me and my camera got wet outside.